It took lot of time for Tata Motors to launch the Tiago hatchback which had some branding hurdles in the form of “Zica”. 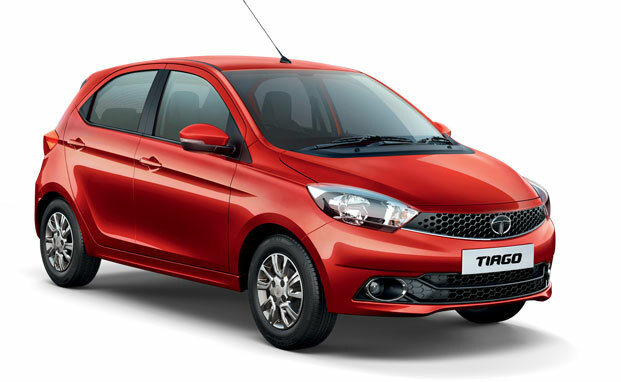 It was worth the wait for Tata Motors, As Tiago’s booking count has crossed over 15,000 units and is showing a very positive signs of growth. Tata Tiago has come at the right time to change the fortunes of the company. Tiago which can be also called as the small city car was first launched on April 6. Within a month and half, Tiago has bagged over 15,000 bookings which is quite impressive. In the very first month of its launch, Tata Tiago emerged as the best-selling Tata car with the sales count crossing over 3,500 units. Tata Motors’ is expecting more bookings in the coming months as well. The strong growth is not only good thing for the company but also for the dealerships and partners. If we have a look at the sales pattern in th past, other models like Bolt and Zest from Tata Motors showed a decline in sales. So it is very important for Tata Motors to preserve the momentum and ensure that the new vehicle doesn’t fade away like other models. Tata Tiago gets a very good attractive introductory starting price of Rs 3.2 lakhs (ex-showroom, Delhi). When it comes to marketing efforts, Tata Motors has tried something new by making Football icon Lionel Messi as the brand ambassador for the “Made of Great” campaign. There is also a special emphasis on attracting female customers too. Tata Tiago is made available in both petrol and diesel engines. The 1.2-litre petrol engine generates 85 PS of power and 114 Nm of torque while the 1.05-litre diesel engine delivers 70 PS of power and 140 Nm of torque.